Shortly after Sherlock Holmes and his adversary, James Moriarty, go over Reichenbach Falls a body is pulled from the water. American detective, Frederick Chase, rushed to Switzerland where he hopes to identify the body as Moriarty’s and ultimately recover a letter sent from notorious American criminal, Clarence Devereux. Devereux and Moriarty had planned to form a partnership that would make them the most formidable crime syndicate in Britain and America. But with Moriarty dead, that leaves Devereux holding the reigns. Chase plans to stop Devereux by any means necessary. When he arrives are Reichenbach falls he meets British detective Athelney Jones who has learned many of Sherlock Holmes’s methods of deduction. The soon for a team and start investigating the links between Devereux and other criminals in Britain but at every turn they meet a dead end…..literally. The body count is piling up and the pressure is on for Chase and Jones to stop the criminal gang before it’s too late. Chase has spent a good deal of time studying Devereux and though no one has seen his face, he suffers from a rare condition known as agoraphobia. Chase and Jones hope to identify Devereux by exploiting his phobia. The two detectives encounter many unspeakable crimes and twisted plots as they track the gang through London. Together Chase and Jones make a great team….they almost mirror Holmes and Watson. This book has floated on my radar for a few months but it just hasn’t grabbed me in the way that some other mystery novels have. Well I was on vacation and stopped in a book store and saw this book on the shelf and it just seemed right. I bought it and went back to my cabin and started reading. It’s marketed as a thriller but I would say more like mystery or suspense. I actually thought I would read it much faster than I did. There wasn’t really anything that grabbed me and sucked me in to the story or anything that really compelled me to ‘devour’ it either. But that said, I liked it just fine but it wasn’t ‘amazing’. I liked that the writing style mimicked Doyle’s style in the Holmes novels and the methods used by Jones were very similar to Holmes. I really really liked that and thought it was a lovely touch. I also liked how Horowitz made Holmes and Watson ‘real’ characters, it added authenticity to the story and mystery. Some of the things I didn’t like…..the mystery was a little slow. Many of Doyle’s Holmes mysteries are also read slow for me so I guess Horowitz continued that similar style. I also felt like the setting was a little blah. It was set in Victorian London but lacked some of the Victorian charm that I love so much in mysteries, I would have liked to have seen the period play more of a role somehow. I didn’t realize that this book was part of a series, but it read just fine as a stand alone novel. I did wonder throughout the novel though why we never really saw Watson? I mean it’s not like years had passed since Holmes died, it just happened….literally. So where is Watson in all this? Maybe this was addressed in the first book in the series or maybe Doyle in some of his books already accounted for Watson’s absence but I felt like I was missing something as a reader. It would have been nice if Horowitz had said ‘Watson is dead’ or ‘Watson retired to Brighton’ or something so that the reader wouldn’t be wondering where is Watson in all this. Would I read the other books in this series? Yes. 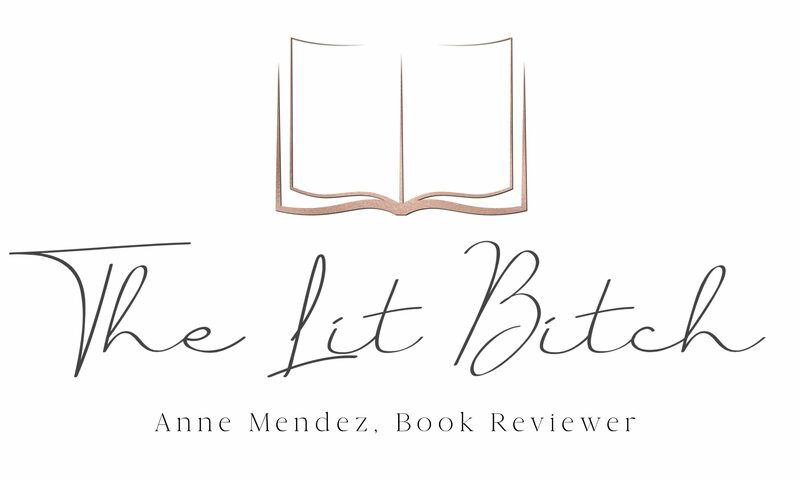 The overall story was fine and I liked the twist at the end but I wouldn’t move them up on my TBR list right away. Good but not earth shattering. I love the first book in this “series”, The House of Silk, which is focused on Holmes and Watson. 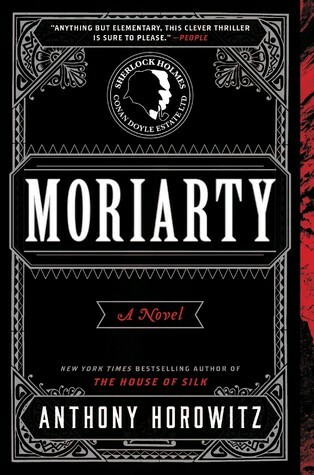 I put in series in quotes because from how you describe Moriarty, it honestly doesn’t sound like these two books operate as a traditional series. They are probably just referred as such because this is they are both Horowitz’s Holmes fan fiction. Anyway, this is a book that I have been wanting to read for a while and I even own it and now I feel I have a better idea about it. Great Review!